For drivers near Merced looking for an affordable entry into the luxury sedan or coupe segment, there are a number of pre-owned Mercedes-Benz C-Class models for sale now at Mercedes-Benz of Modesto. Check out your Mercedes-Benz C-Class lease and financing and options right now near Stockton at our dealership in Modesto! CARFAX 1-Owner, Mercedes-Benz Certified, Clean, ONLY 46,872 Miles! EPA 34 MPG Hwy/25 MPG City! Navigation, Heated Seats, Moonroof READ MORE! KEY FEATURES INCLUDE Turbocharged, iPod/MP3 Input, Onboard Communications System, Dual Zone A/C, Smart Device Integration Steering Wheel Controls, Child Safety Locks, Electronic Stability Control, Heated Mirrors, Electrochromic rearview mirror. OPTION PACKAGES MULTIMEDIA PACKAGE COMAND Navigation & Voice Control, 8.4 high-resolution color screen, Rear View Camera, Navigation Map Updates Included For 3 Years, SPORT PACKAGE AMG bodystyling, sport suspension, 18 or 19 AMG wheels w/high performance tires, Open Pore Black Ash trim, black headliner, sports seats, flat bottom sport steering wheel, front brakes w/perforated discs, aluminum pedals w/rubber studs, AMG floormats and dash w/MB-TEX and top stitching, PREMIUM 1 PACKAGE KEYLESS-GO, SiriusXM Satellite Radio, LED Headlamps, LED Taillights, Burmester Premium Sound, PANORAMA SUNROOF, LIGHTING PACKAGE Adaptive Highbeam Assist, Dynamic LED Headlamps, active curve illumination, HEATED FRONT SEATS, BLIND SPOT ASSIST, WHEELS: 19 AMG MULTI-SPOKE Tires: 19 High-Performance, REAR TRUNK LID SPOILER. Mercedes-Benz C 300 Sport with Polar White exterior and Sport Black interior features a 4 Cylinder Engine with 241 HP at 5550 RPM*. Non-Smoker vehicle. EXPERTS RAVE KBB.com's review says Thanks to the new model's lighter weight Great Gas Mileage: 34 MPG Hwy. SHOP WITH CONFIDENCE CARFAX 1-Owner Balance of New Car Warranty plus 1 year/unlimited miles extended Limited Warranty, 24-Hour Roadside Assistance, Carfax Vehicle History Report, NO Deductible, Rigorous Inspection by Factory Certified Technicians Pricing analysis performed on 4/19/2019. Horsepower calculations based on trim engine configuration. Fuel economy calculations based on original manufacturer data for trim engine configuration. Please confirm the accuracy of the included equipment by calling us prior to purchase.CARFAX 1-Owner, Mercedes-Benz Certified, Clean, ONLY 46,872 Miles! EPA 34 MPG Hwy/25 MPG City! Navigation, Heated Seats, Moonroof READ MORE! Turbocharged, iPod/MP3 Input, Onboard Communications System, Dual Zone A/C, Smart Device Integration Steering Wheel Controls, Child Safety Locks, Electronic Stability Control, Heated Mirrors, Electrochromic rearview mirror. MULTIMEDIA PACKAGE COMAND Navigation & Voice Control, 8.4 high-resolution color screen, Rear View Camera, Navigation Map Updates Included For 3 Years, SPORT PACKAGE AMG bodystyling, sport suspension, 18 or 19 AMG wheels w/high performance tires, Open Pore Black Ash trim, black headliner, sports seats, flat bottom sport steering wheel, front brakes w/perforated discs, aluminum pedals w/rubber studs, AMG floormats and dash w/MB-TEX and top stitching, PREMIUM 1 PACKAGE KEYLESS-GO, SiriusXM Satellite Radio, LED Headlamps, LED Taillights, Burmester Premium Sound, PANORAMA SUNROOF, LIGHTING PACKAGE Adaptive Highbeam Assist, Dynamic LED Headlamps, active curve illumination, HEATED FRONT SEATS, BLIND SPOT ASSIST, WHEELS: 19 AMG MULTI-SPOKE Tires: 19 High-Performance, REAR TRUNK LID SPOILER. Mercedes-Benz C 300 Sport with Polar White exterior and Sport Black interior features a 4 Cylinder Engine with 241 HP at 5550 RPM*. Non-Smoker vehicle. KBB.com's review says Thanks to the new model's lighter weight Great Gas Mileage: 34 MPG Hwy. Mercedes-Benz Certified, Superb Condition, CARFAX 1-Owner, GREAT MILES 24,177! PRICED TO MOVE $1,300 below Kelley Blue Book! Moonroof AND MORE! KEY FEATURES INCLUDE Turbocharged, iPod/MP3 Input, CD Player, Onboard Communications System, Dual Zone A/C MP3 Player, Child Safety Locks, Steering Wheel Controls, Heated Mirrors, Electronic Stability Control. OPTION PACKAGES PANORAMA SUNROOF, PREMIUM 1 PACKAGE KEYLESS-GO, Surround Light Mirror Mounted Entry Lamps, Blind Spot Assist, SiriusXM Satellite Radio, SD-CARD FOR GARMIN MAP PILOT NAVIGATION, BLIND SPOT ASSIST, BURL WALNUT WOOD TRIM, WHEELS: 17 SPLIT 5-SPOKE (STD). Mercedes-Benz C 300 with Steel Gray Metallic exterior and Black interior features a 4 Cylinder Engine with 241 HP at 5550 RPM*. Serviced here, Non-Smoker vehicle, Originally bought here. EXPERTS ARE SAYING All C-Class sedans have a sporty, athletic character and come with multiple drive modes that adjust gas pedal, transmission and steering response. -Edmunds.com. Great Gas Mileage: 34 MPG Hwy. A GREAT TIME TO BUY This C 300 is priced $1,300 below Kelley Blue Book. BUY WITH CONFIDENCE Balance of New Car Warranty plus 1 year/unlimited miles extended Limited Warranty, 24-Hour Roadside Assistance, Carfax Vehicle History Report, NO Deductible, Rigorous Inspection by Factory Certified Technicians WHY BUY FROM US Mercedes-Benz of Modesto in Modesto, CA treats the needs of each individual customer with paramount concern. We know that you have high expectations Pricing analysis performed on 4/15/2019. Horsepower calculations based on trim engine configuration. Fuel economy calculations based on original manufacturer data for trim engine configuration. Please confirm the accuracy of the included equipment by calling us prior to purchase.Mercedes-Benz Certified, Superb Condition, CARFAX 1-Owner, GREAT MILES 24,177! PRICED TO MOVE $1,300 below Kelley Blue Book! Moonroof AND MORE! Turbocharged, iPod/MP3 Input, CD Player, Onboard Communications System, Dual Zone A/C MP3 Player, Child Safety Locks, Steering Wheel Controls, Heated Mirrors, Electronic Stability Control. PANORAMA SUNROOF, PREMIUM 1 PACKAGE KEYLESS-GO, Surround Light Mirror Mounted Entry Lamps, Blind Spot Assist, SiriusXM Satellite Radio, SD-CARD FOR GARMIN MAP PILOT NAVIGATION, BLIND SPOT ASSIST, BURL WALNUT WOOD TRIM, WHEELS: 17 SPLIT 5-SPOKE (STD). Mercedes-Benz C 300 with Steel Gray Metallic exterior and Black interior features a 4 Cylinder Engine with 241 HP at 5550 RPM*. Serviced here, Non-Smoker vehicle, Originally bought here. All C-Class sedans have a sporty, athletic character and come with multiple drive modes that adjust gas pedal, transmission and steering response. -Edmunds.com. Great Gas Mileage: 34 MPG Hwy. This C 300 is priced $1,300 below Kelley Blue Book. CARFAX 1-Owner, Superb Condition, Mercedes-Benz Certified. FUEL EFFICIENT 31 MPG Hwy/24 MPG City! Sunroof, Heated Seats, Turbo Charged READ MORE! KEY FEATURES INCLUDE Full-Time 4MATIC All-Wheel Drive, Turbocharged, iPod/MP3 Input, CD Player, Onboard Communications System. MP3 Player, Steering Wheel Controls, Child Safety Locks, Heated Mirrors, Electronic Stability Control. OPTION PACKAGES PANORAMA SUNROOF, PREMIUM 1 PACKAGE KEYLESS-GO, Surround Light Mirror Mounted Entry Lamps, SiriusXM Satellite Radio, HEATED FRONT SEATS, BLIND SPOT ASSIST, REAR VIEW CAMERA, BURL WALNUT WOOD TRIM, WHEELS: 17 SPLIT 5-SPOKE (STD). Mercedes-Benz C 300 with designo Cardinal Red Metallic exterior and Silk Beige interior features a 4 Cylinder Engine with 241 HP at 5550 RPM*. Serviced here, Non-Smoker vehicle, Originally bought here. VEHICLE REVIEWS All C-Class sedans have a sporty, athletic character and come with multiple drive modes that adjust gas pedal, transmission and steering response. -Edmunds.com. Great Gas Mileage: 31 MPG Hwy. BUY WITH CONFIDENCE CARFAX 1-Owner Balance of New Car Warranty plus 1 year/unlimited miles extended Limited Warranty, 24-Hour Roadside Assistance, Carfax Vehicle History Report, NO Deductible, Rigorous Inspection by Factory Certified Technicians WHY BUY FROM US Mercedes-Benz of Modesto in Modesto, CA treats the needs of each individual customer with paramount concern. We know that you have high expectations Pricing analysis performed on 4/15/2019. Horsepower calculations based on trim engine configuration. Fuel economy calculations based on original manufacturer data for trim engine configuration. Please confirm the accuracy of the included equipment by calling us prior to purchase.CARFAX 1-Owner, Superb Condition, Mercedes-Benz Certified. FUEL EFFICIENT 31 MPG Hwy/24 MPG City! Sunroof, Heated Seats, Turbo Charged READ MORE! Mercedes-Benz Certified, Excellent Condition, CARFAX 1-Owner. JUST REPRICED FROM $39,991. Navigation, Moonroof, Heated Seats CLICK NOW! KEY FEATURES INCLUDE Sunroof, Back-Up Camera, Turbocharged, iPod/MP3 Input, Onboard Communications System. Steering Wheel Controls, Child Safety Locks, Heated Mirrors, Electronic Stability Control, Bucket Seats. OPTION PACKAGES MULTIMEDIA PACKAGE 8.4 high-resolution color screen, COMAND Navigation, COMAND Single CD/DVD, Touchpad, Navigation Map Updates Included for 3 Years, DVD Coding, PREMIUM PACKAGE KEYLESS-GO, Blind Spot Assist, SiriusXM Satellite Radio, HEATED FRONT SEATS, HANDS-FREE ACCESS PACKAGE HANDS-FREE Comfort Package, HANDS-FREE ACCESS, Electronic Trunk Closer, WHEELS: 17 SPLIT Y-SPOKE (STD). Mercedes-Benz C 300 with Polar White exterior and Black interior features a 4 Cylinder Engine with 241 HP at 5550 RPM*. Serviced here, Non-Smoker vehicle, Originally bought here. EXPERTS REPORT The steering effort is appropriately light in parking lots and firms up on the highway for greater stability. It's very precise and predictable with a decent amount of feedback for a luxury-focused car. -Edmunds.com. Great Gas Mileage: 33 MPG Hwy. AFFORDABLE Was $39,991. BUY WITH CONFIDENCE Balance of New Car Warranty plus 1 year/unlimited miles extended Limited Warranty, 24-Hour Roadside Assistance, Carfax Vehicle History Report, NO Deductible, Rigorous Inspection by Factory Certified Technicians BUY FROM AN AWARD WINNING DEALER Mercedes-Benz of Modesto in Modesto, CA treats the needs of each individual customer with paramount concern. We know that you have high expectations Pricing analysis performed on 4/19/2019. Horsepower calculations based on trim engine configuration. Fuel economy calculations based on original manufacturer data for trim engine configuration. Please confirm the accuracy of the included equipment by calling us prior to purchase.Mercedes-Benz Certified, Excellent Condition, CARFAX 1-Owner. JUST REPRICED FROM $39,991. Navigation, Moonroof, Heated Seats CLICK NOW! Sunroof, Back-Up Camera, Turbocharged, iPod/MP3 Input, Onboard Communications System. Steering Wheel Controls, Child Safety Locks, Heated Mirrors, Electronic Stability Control, Bucket Seats. MULTIMEDIA PACKAGE 8.4 high-resolution color screen, COMAND Navigation, COMAND Single CD/DVD, Touchpad, Navigation Map Updates Included for 3 Years, DVD Coding, PREMIUM PACKAGE KEYLESS-GO, Blind Spot Assist, SiriusXM Satellite Radio, HEATED FRONT SEATS, HANDS-FREE ACCESS PACKAGE HANDS-FREE Comfort Package, HANDS-FREE ACCESS, Electronic Trunk Closer, WHEELS: 17 SPLIT Y-SPOKE (STD). Mercedes-Benz C 300 with Polar White exterior and Black interior features a 4 Cylinder Engine with 241 HP at 5550 RPM*. Serviced here, Non-Smoker vehicle, Originally bought here. The steering effort is appropriately light in parking lots and firms up on the highway for greater stability. It's very precise and predictable with a decent amount of feedback for a luxury-focused car. -Edmunds.com. Great Gas Mileage: 33 MPG Hwy. PRICE DROP FROM $40,991, PRICED TO MOVE $500 below Kelley Blue Book! CARFAX 1-Owner, Mercedes-Benz Certified. Sunroof, Heated Seats AND MORE! KEY FEATURES INCLUDE Back-Up Camera, Turbocharged, iPod/MP3 Input, Onboard Communications System, Remote Engine Start MP3 Player, Child Safety Locks, Steering Wheel Controls, Heated Mirrors, Electronic Stability Control. OPTION PACKAGES PREMIUM PACKAGE KEYLESS-GO, Blind Spot Assist, SiriusXM Satellite Radio, PANORAMA SUNROOF, BURMESTER PREMIUM SOUND SYSTEM, LED HEADLAMPS, HEATED FRONT SEATS, WHEELS: 18 TWIN 5-SPOKE Tires: P225/45R18 Fr & P245/40R18 Rr, SMARTPHONE INTEGRATION PACKAGE Android Auto, Apple CarPlay, Smartphone Integration, HANDS-FREE ACCESS PACKAGE HANDS-FREE Comfort Package, HANDS-FREE ACCESS, Electronic Trunk Closer. Mercedes-Benz C 300 with Black exterior and Black MB-Tex interior features a 4 Cylinder Engine with 241 HP at 5550 RPM*. EXPERTS ARE SAYING Edmunds.com's review says The steering effort is appropriately light in parking lots and firms up on the highway for greater stability. It's very precise and predictable with a decent amount of feedback for a luxury-focused car.. Great Gas Mileage: 33 MPG Hwy. AFFORDABILITY Reduced from $40,991. This C 300 is priced $500 below Kelley Blue Book. SHOP WITH CONFIDENCE Balance of New Car Warranty plus 1 year/unlimited miles extended Limited Warranty, 24-Hour Roadside Assistance, Carfax Vehicle History Report, NO Deductible, Rigorous Inspection by Factory Certified Technicians WHY BUY FROM US Mercedes-Benz of Modesto in Modesto, CA treats the needs of each individual customer with paramount concern. We know that you have high expectations Pricing analysis performed on 4/19/2019. Horsepower calculations based on trim engine configuration. Fuel economy calculations based on original manufacturer data for trim engine configuration. Please confirm the accuracy of the included equipment by calling us prior to purchase.PRICE DROP FROM $40,991, PRICED TO MOVE $500 below Kelley Blue Book! CARFAX 1-Owner, Mercedes-Benz Certified. Sunroof, Heated Seats AND MORE! If you want your luxury car with the latest technology, then check out the new 2018 Mercedes-Benz C-Class while you’re here, as well. 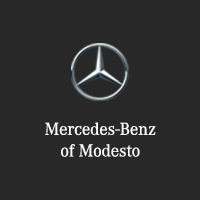 After all, with our vast inventory of affordable used cars, Mercedes-Benz of Modesto is your luxury dealer near Merced!